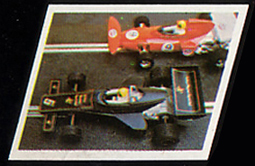 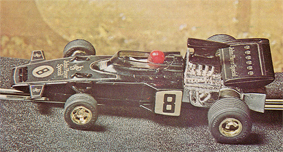 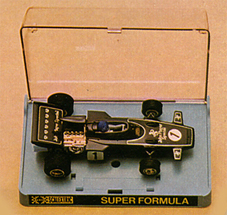 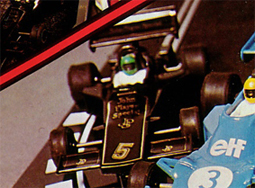 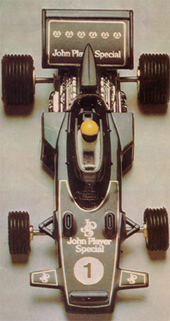 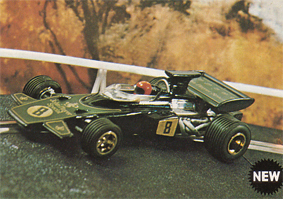 Year Information: The car driven by 1972 World Champion Emerson Fittipaldi and now by Ronnie Peterson. 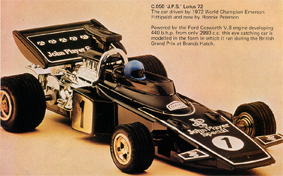 Powered by the Ford Cosworth V.8 engine developing 440b.h.p. 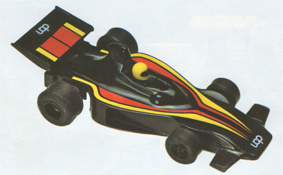 from only 2,933 c.c., this eye catching car is modelled in the form in which it ran during the British Grand Prix of 1972 at Brands Hatch.